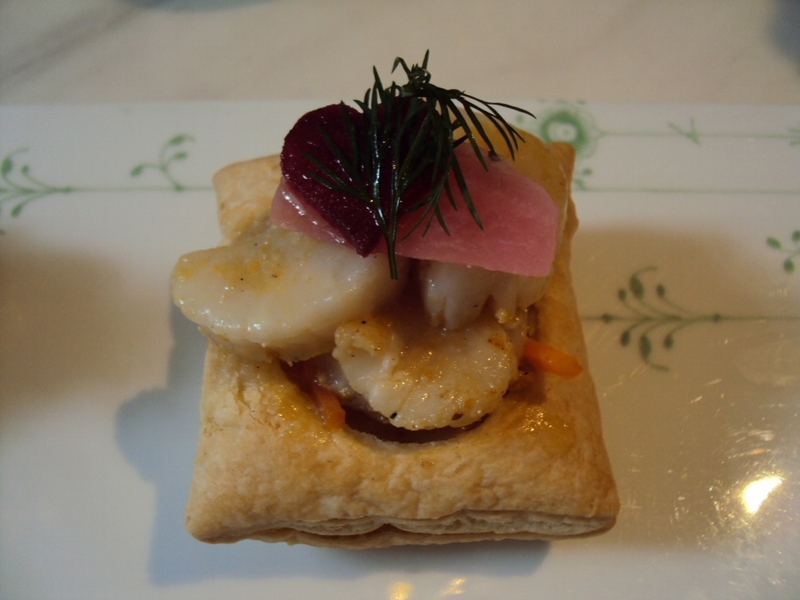 “The idea with smushi is to create smaller portions so one can sample more varieties and really get a taste of Denmark,” said owner Rud Christiansen. Christiansen and his partner and interior stylist Lo Østergaard have custom designed the café from floor to ceiling with designs from Holmegaard, Royal Copenhagen, Bang & Olufsen and Arne Jacobsen, just to name a few. Part Danish design museum, part shop and café, “the funny, funky, baroque, rock and roll-style café is a showcase for promoting Danish society and food,” Christiansen said. The new smushi and Danish café concept is so popular that franchises in Singapore, Seoul, Taipei and Tokyo are set to open next year. Christiansen also talked of looking for space in the U.S. 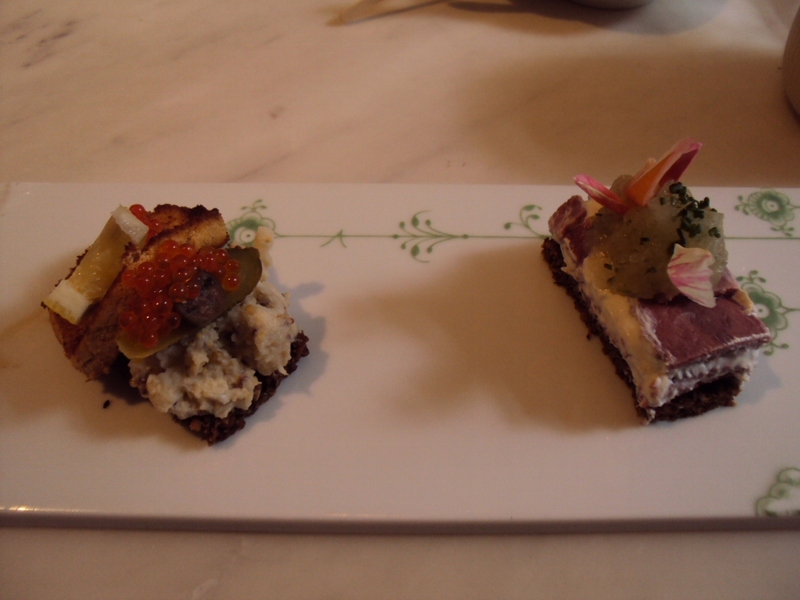 In addition, smushi-making has been added to the official smørrebrød curriculum at Copenhagen’s culinary school. It will be taught as somewhat of an art form, like making sushi is, where there is an architectural approach to the design and assembly. 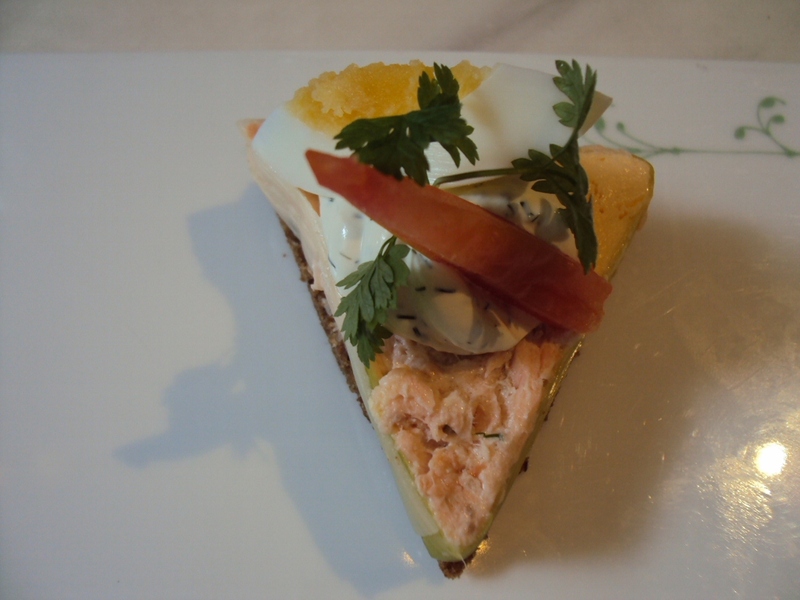 “Egg Royal” with salmon and cream of herbs shaped into a triangle with leeks. The delicious lunch was enjoyed with a lovely cup of Pai Mu Tan white tea aka Baii Mudan or White Peony tea, made with ” leaves and flowers from the wild trees.” It was earthly good!